Astronomers using Hubble Space telescope images of the Coma galaxy cluster some 300 million light years away have identified a staggering 22,426 globular clusters in a survey aimed at learning more about the distribution of matter and dark matter in the huge grouping of more than 1,000 galaxies. Globular clusters contain some of the oldest stars in the universe, and about 150 are known to orbit the core of the Milky Way. 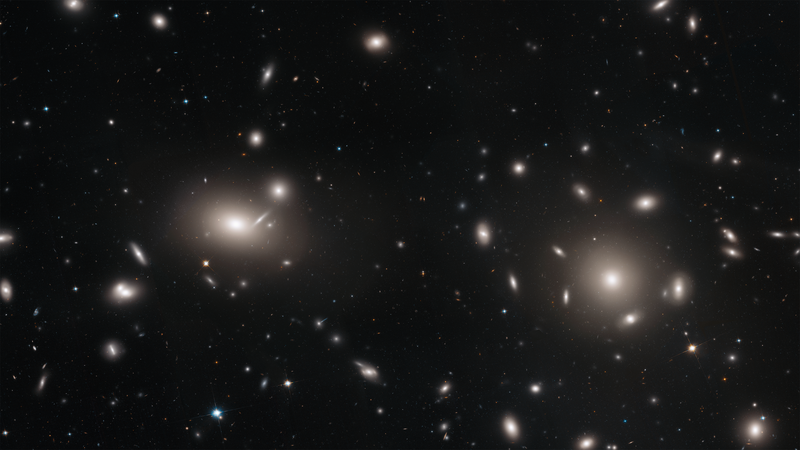 Some of those are visible to the naked eye as fuzzy “stars,” but at the Coma galaxy cluster’s distance, globulars are little more than points of light even to the Hubble Space Telescope. But Juan Madrid of the Australian Telescope National Facility in Sydney, Australia, led a team of researchers, including students, that searched through archived Hubble imagery to assemble a mosaic of the central region of the Coma cluster. They developed an algorithm to scour the mosaic’s 100,000 potential sources, relying on the colour and spherical shape of globular clusters to eliminate background galaxies and other “extraneous” objects. The team found Coma globulars scattered throughout the space between the cluster’s galaxies, apparently orphaned by gravity-driven near-collisions inside the grounded assembly. the Hubble data revealed some of the globulars lined up in bridge-like patterns, clear evidence of gravitational interactions between galaxies. 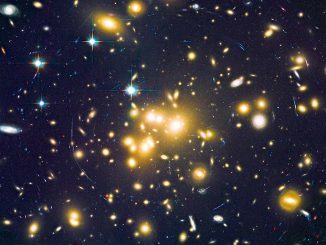 Researchers have found a large population of distant dwarf galaxies that could reveal important details about a productive period of star formation in the universe billions of years ago. It is believed that dwarf galaxies played a significant role during the so-called reionisation era in transforming the dark early universe into one that is bright, ionised and transparent. 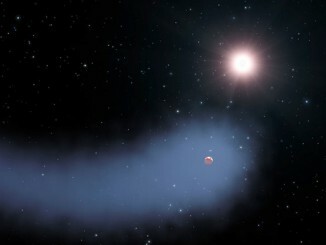 Astronomers using the NASA/ESA Hubble Space Telescope have discovered an immense cloud of hydrogen dispersing from a warm, Neptune-sized planet orbiting a nearby star. It may offer clues as to how hot super-Earths — massive, hot versions of Earth — are born around other stars. 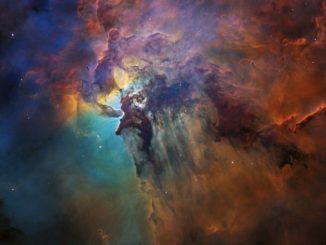 Marking its 28th anniversary in space, the Hubble Space Telescope peered deep into the heart of the Lagoon Nebula, capturing a spectacular vista of a vast star-forming region familiar to amateur astronomers around the world.